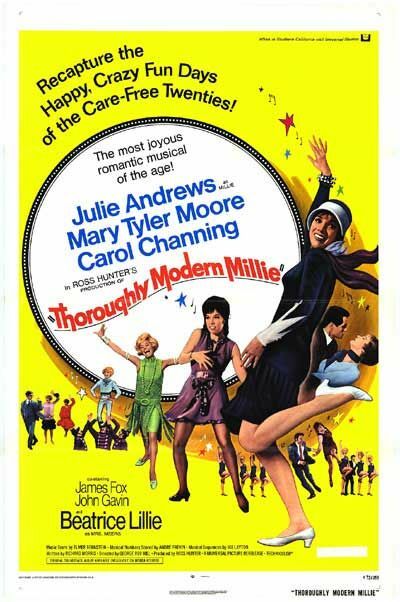 In 1967's musical Thoroughly Modern Millie, Julie Andrews starred as the titular 'Millie Dillmount' in New York City's roaring twenties enjoying flapper dresses, bobbed haircuts and madcap misadventures. 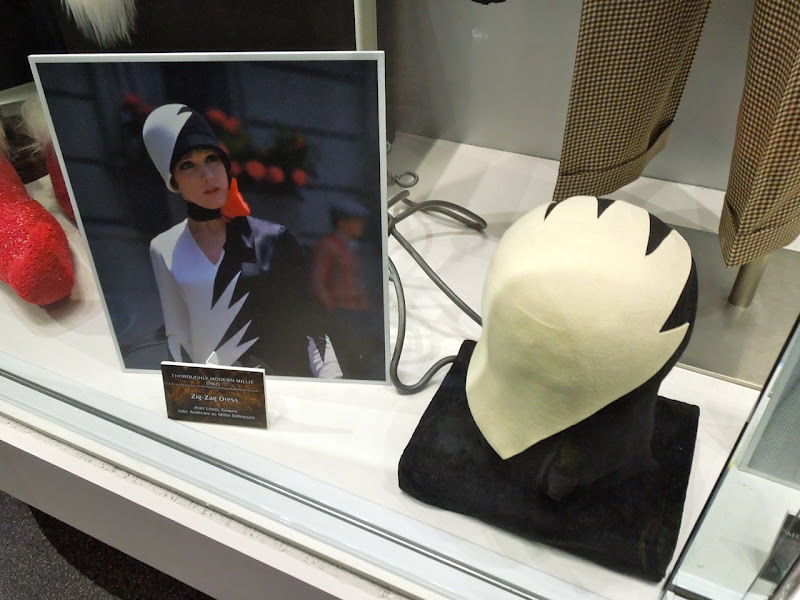 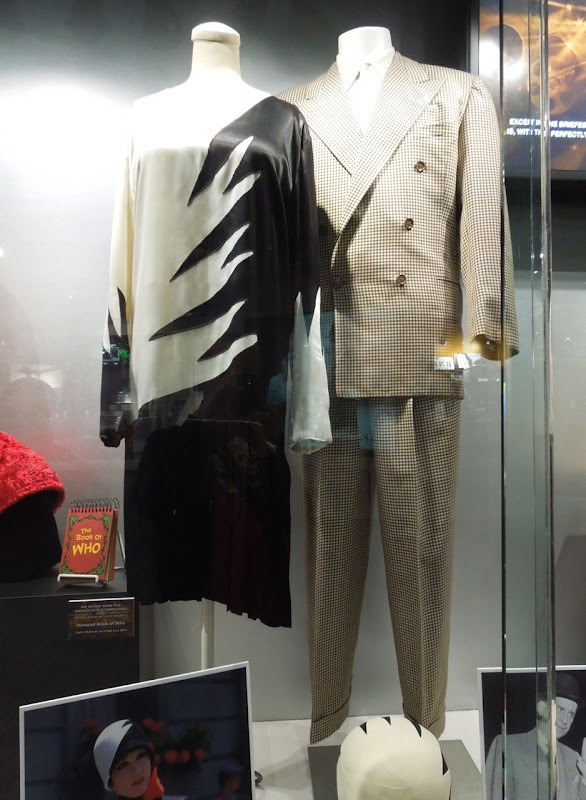 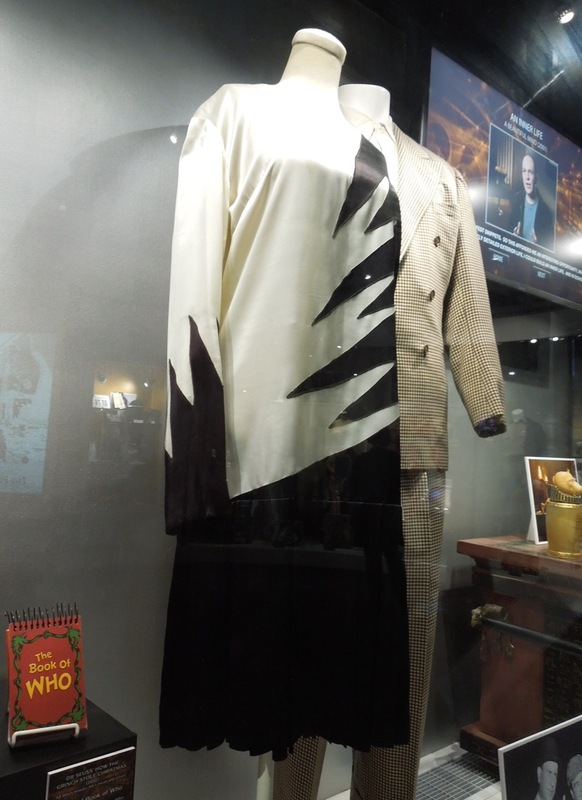 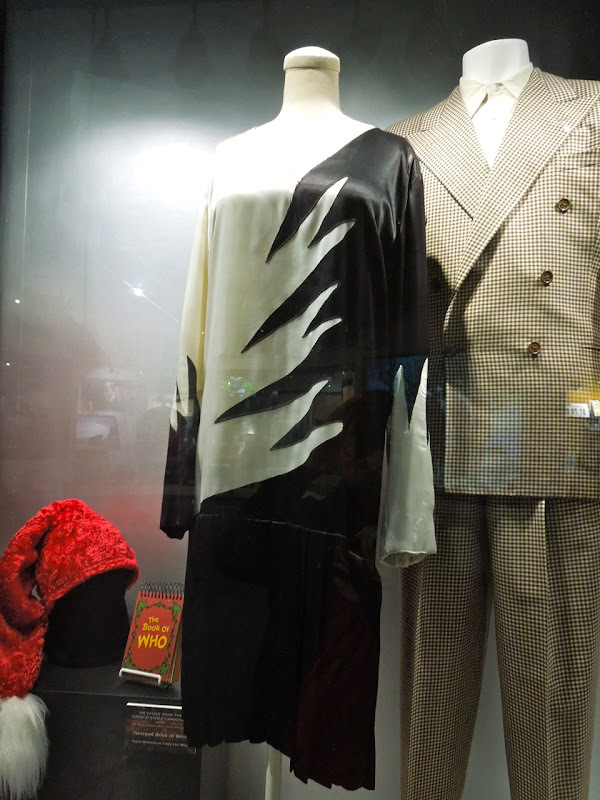 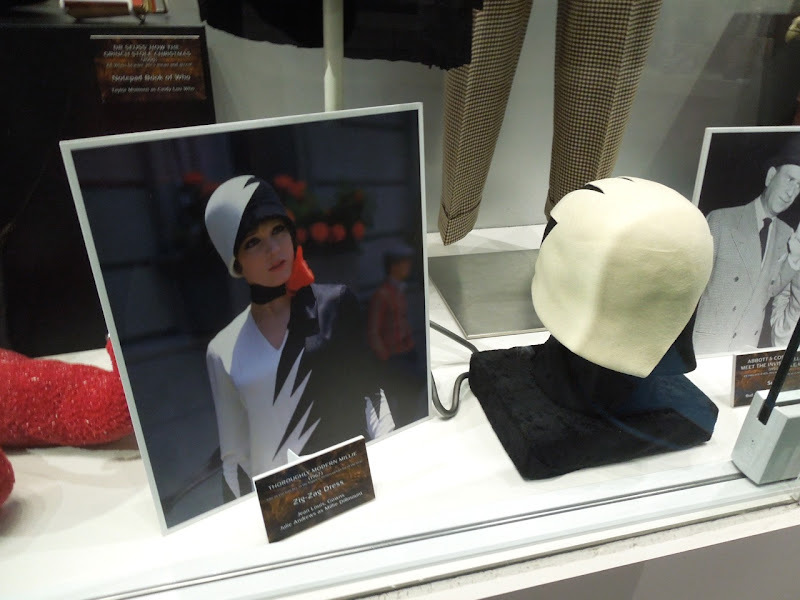 Julie Andrew's black and white zig-zag flapper dress and hat from the movie was photographed on display at Universal Studios Hollywood on April 26, 2012 alongside Bud Abbot's suit from Abbot & Costello Meet The Invisible Man. 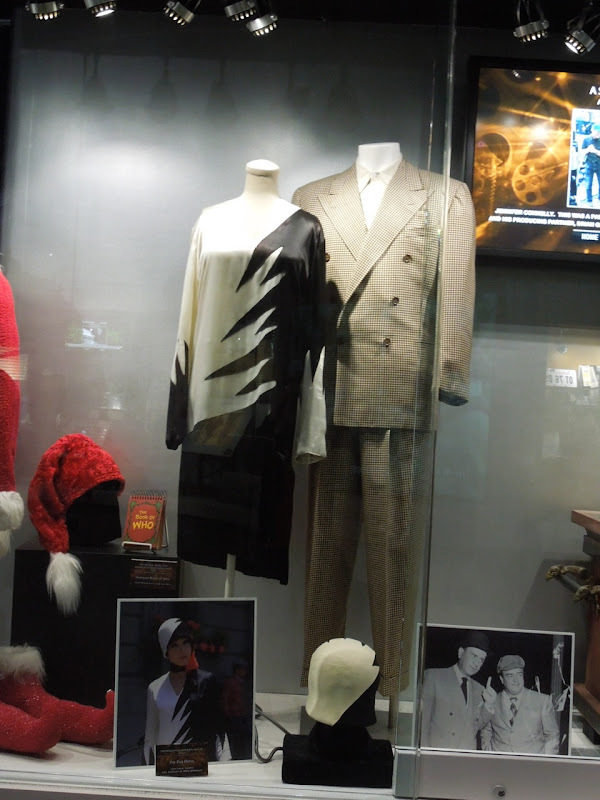 Jean Louis was responsible for the gowns and outfits worn in this classic musical and is also famous for his work on other cinematic gems like From Here To Eternity, A Star Is Born, The Misfits and many more.